I’m really excited about this particular show because we’re big Moana fans (she will be there for the first time in a live production); we love Frozen and I’m personally a big Beauty and the Beast Fan. Plus, Cinderella and Rapunzel will be there too! 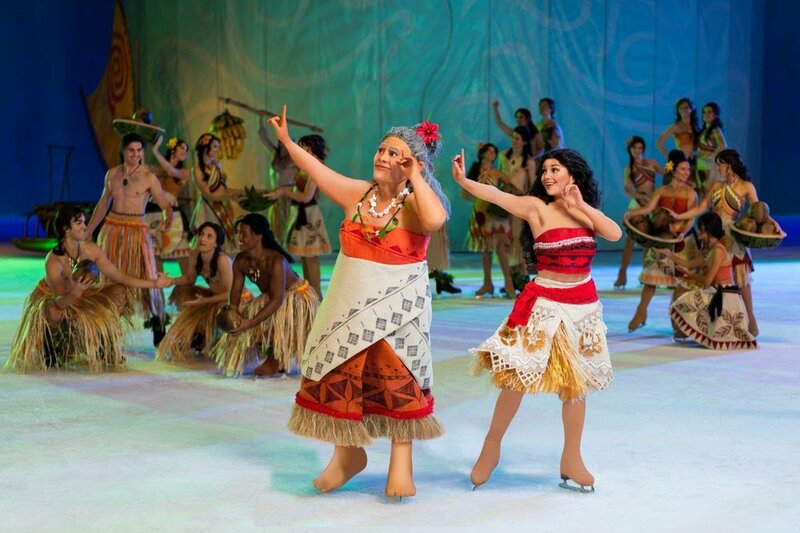 In her Disney On Ice debut, Moana will go in a high-seas adventure with demigod Maui, to save her island and discover her true identity. Belle will fearlessly befriend the enchanted castle staff and reveal the Beast’s gentleness. Anna’s will prove her devotion to her sister, Elsa, on her life-changing journey to stop an eternal winter. Rapunzel, Flynn Ryder, Cinderella and friends from around the Disney Kingdom will find the heart and determination to overcome obstacles and make their dreams come true. Plus fans will be encouraged to arrive early to celebrate family and tradition with a special sing-along with Miguel from Disney•Pixar’s Coco in a live fiesta Disney On Ice style prior to the show! I hope to see you there, friends! Magical Memories to Kick Off the School Year! In planning a fun weekend for the boys on the weekend before Benny's first day of school, Paul and I decided to visit Anaheim. We knew we didn't want to travel far with the kids. We also wanted to avoid spending a lot of money on accommodations. We booked the Howard Johnson Hotel, located a short walk from the Disneyland Main Entrance. We were happy because although the hotel wasn't too fancy, it has been nicely upgraded to offer a fun "retro" vibe with bright colors and patterns. 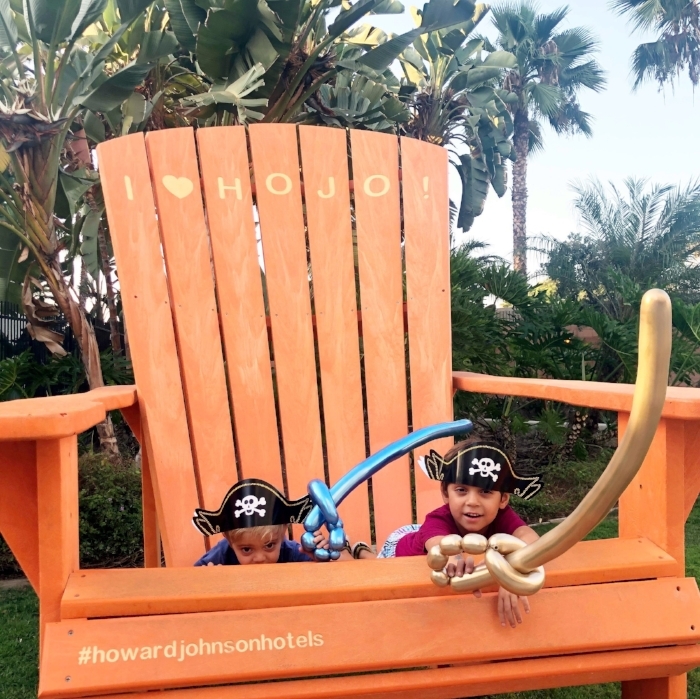 Kids get pirate hats and balloon swords at check-in. 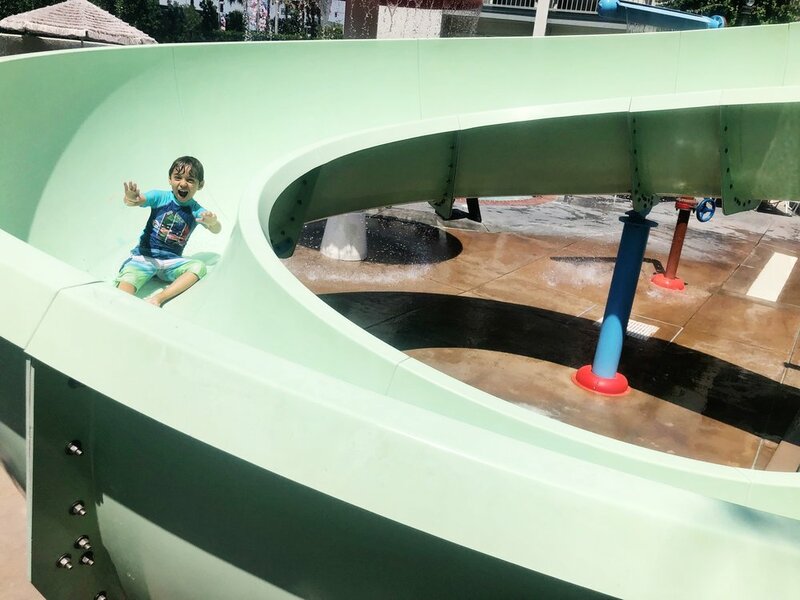 The hotel also features a fun, kid's water park that includes a water slide, a pirate-themed splash playground and 1 1/2 foot kiddie pool that's located next to a turtle splash pad and water fountain. It was another amazing Disney visit. I've caught the bug, again. I plan on returning to my favorite place very, very soon. Who's in!? The Disney Love Was Real! The We All Grow Summit held in Long Beach during the first weekend of March was an incredible experience in and of itself... but for a Disney lover like me, the cherry on top was knowing that Disney Parks would be a summit sponsor. 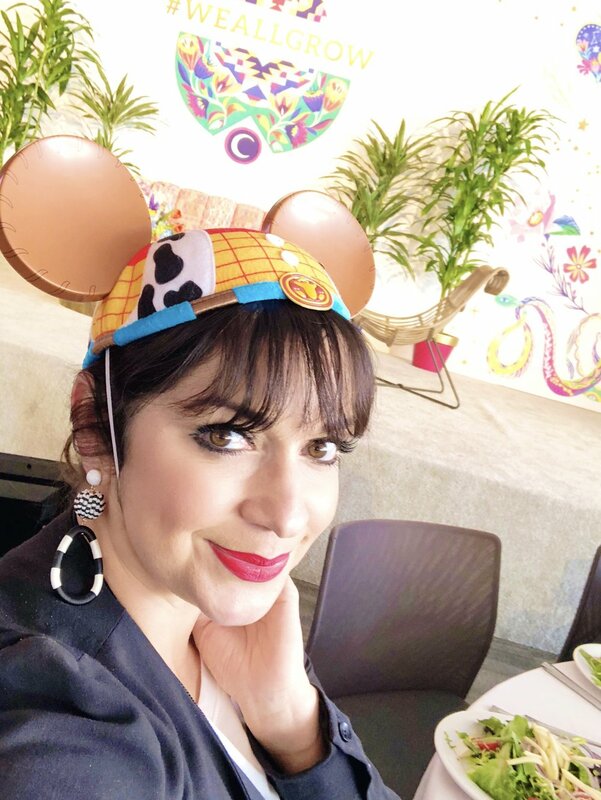 Disney Parks hosted a group of Latina Bloggers to the Parks on the first day of the conference (myself included) and put on a fantastic luncheon on day three of the conference where they offered details about new things arriving at the Happiest Place on Earth! After a divine 3-course meal, we were surprised with a special visit from Buzz Lightyear and Woody. They arrived to take photos with the enthusiastic, cheerful crowd of Latina bloggers! A mouthwatering banana dessert ended the luncheon with an additional sugar rush! 1. Pixar Fest is coming! Beginning April 13, the area inside the California Adventure Park that was Paradise Pier will turn into Pixar Pier with new attractions, shows, food offerings and merchandise. 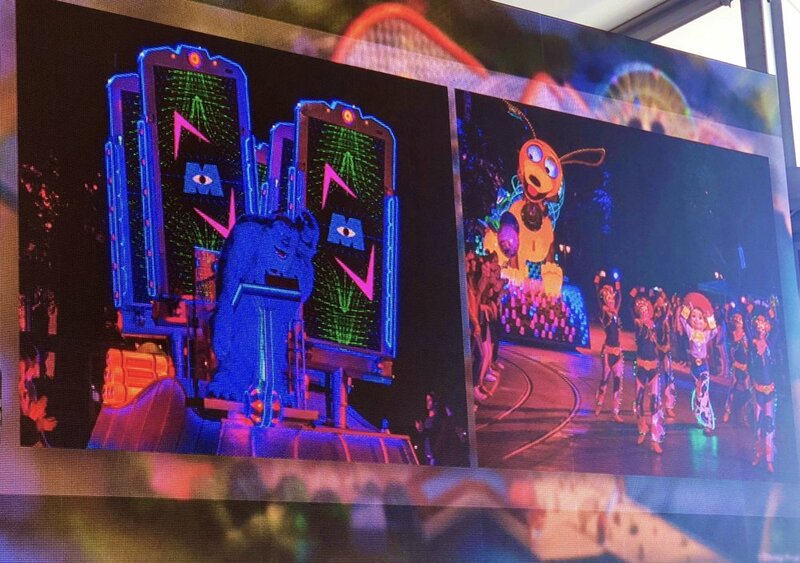 Personally, I can’t wait to ride the new IncrediCoasters and see the return of the Paint the Night Parade! 2. 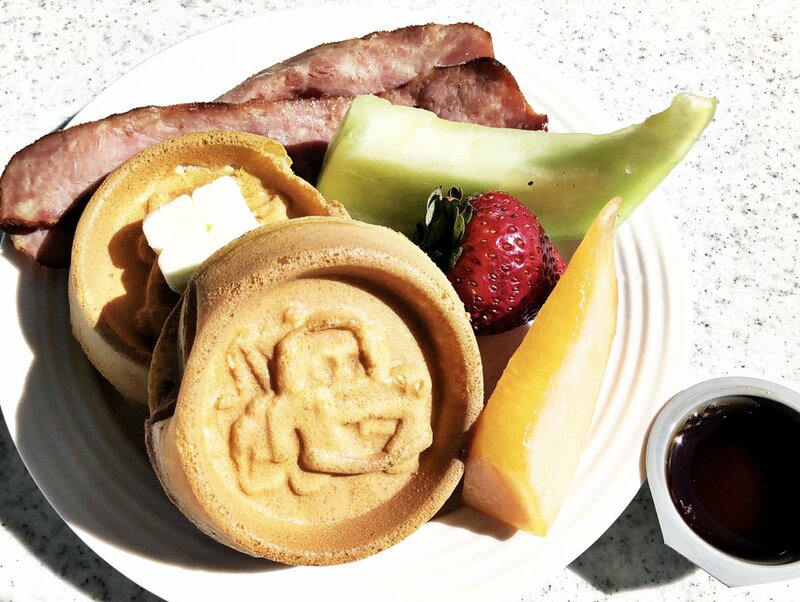 Food And Wine Festival – Also at Disney California Adventure, foodies of all levels can indulge in a series of special food and wine selections exclusive to this annual event. 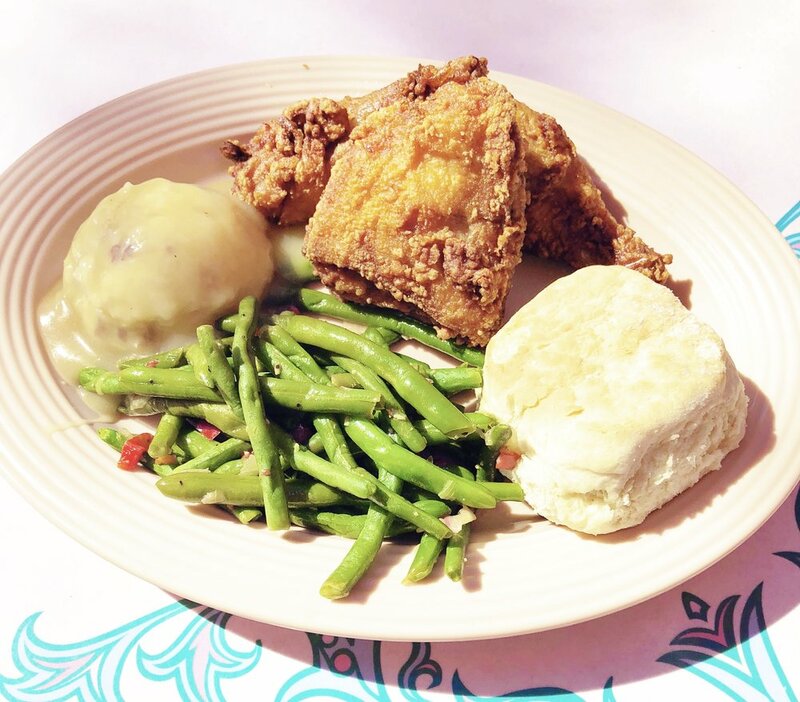 The delicious & festive celebration will take place through April 13. 3. New Fireworks Show at Disneyland – This one will likely have to be experienced in person to really capture the Magic that it will deliver on a nightly basis. It's going to be called Together Forever– A Pixar Nighttime Spectacular... and the world can't wait!! Purple Vibes before the Walt Disney World Marathon! How am I going to complete 26.2 miles of running? The answer is: I don't know. What I do know is that today, EPCOT was a wonderful distraction to keep my thoughts from steering too far toward the reality that perhaps I didn't train enough or prepare as well as I should have. What I also know is that I will listen to the queues my body gives me without overdoing it. I will pace myself and if something doesn't feel right, I will address it immediately. I will give it my best and pray that I survive this test. For now, I will go to bed with friendly, warm memories of a day well spent at EPCOT with some amazing Disney Mommy friends and plenty of magical, purple vibes! I'll be back with the results of my marathon completion attempt. The signature Spaceship Earth attraction at EPCOT is currently illuminated with Ultraviolet lighting! Runners completing the "Dopey Challenge" will have finished each of the following races– a 5k, 10k, Half Marathon and Marathon over a span of four days. Special Marathon-themed merchandise is currently causing me a lot of temptation. But I promised myself I won't buy unless I finish! As you probably read in my previous post on this fun family event, Disney Live! 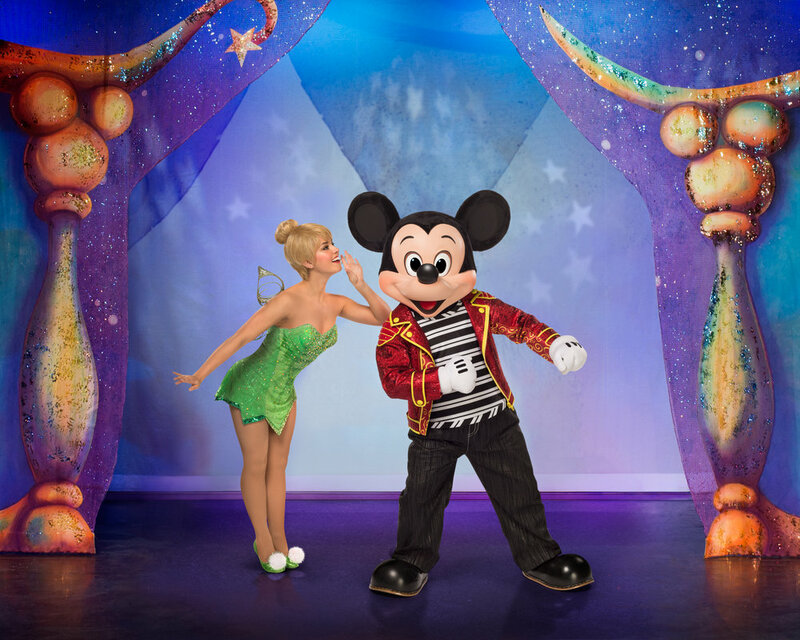 Mickey & Minnie's Doorway to Magic is coming to town next week! Since I love all things Disney, I can't wait to see this show, produced by Feld Entertainment (who never disappoints). Disney Live! Mickey & Minnie's Doorway to Magic is expected to be the most compelling Disney compilation to date. Families are encouraged to join Mickey Mouse, Minnie Mouse, Donald Duck and Goofy as they step into mysterious portals throughout the Disney universe, entering the enchanted lands of more than 20 Disney characters and encountering surprises at every turn of the doorknob! Audience members will be transported to unforgettable moments showcased in the animated features Disney’s Tangled, Aladdin, Cinderella, Snow White and the Seven Dwarfs, Fantasia and Disney•Pixar’s Toy Story. Soooo excited! January 18 & 19 – Long Beach Terrace Theatre | Get tickets HERE. January 20 & 21 – Citizens Business Bank Arena, Ontario | Get tickets HERE. Thanks for reading, hope to see you at the show! We visited California Adventure during the second weekend in November, just as Holidays at the Disneyland Resort had launched. Decked out from the main entrance to the the back lots, the Park was one huge holiday celebration! If you ask me what my favorite thing was, I'll tell you it was the Festival of Holidays–– a collection of booths that start at the end of Buena Vista Street and continue through the walkway leading to Paradise Pier. These booths sell food, drinks and desserts from around the world. 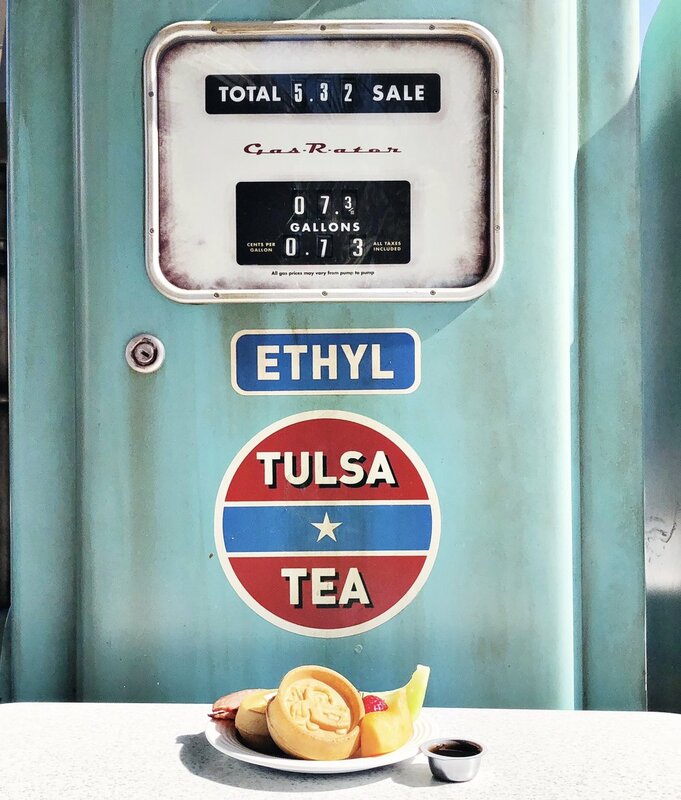 Now, if you ask Benny and Toby what their favorite thing was, they'll say it was Cars Land, where guests are greeted with a sign that says "Season's Speedings". It features a fantastic Christmas overlay and my sons simply didn't want to leave! The Cars Land Christmas experience combined with a new-found love of cars that Toby has discovered made Benny decide it was time to ask me for a favor. "Can we please have a Cars breakfast for Toby, Mama?," Benny asked. Who can say no to that? Big brother asking for a fun breakfast for little brother...My. Heart. Melts. It takes simple details to make meaningful memories and today's breakfast was a reminder of that! I made roadway place mats with removable play tape, extended a Candy cane tissue paper sheet and placed Cars-themed meal sets gifted to the boys by Grandma Dotty. Then I made simple pancakes. Here are some pictures before the table turned into a messy car track with syrup and strawberry stems everywhere! 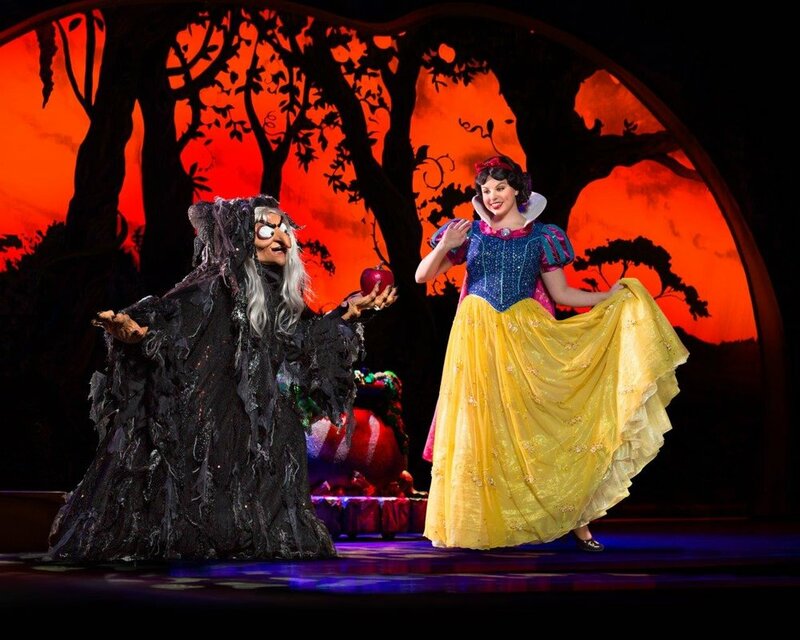 The Magic of Disney will take to the stage in January when Disney Live! 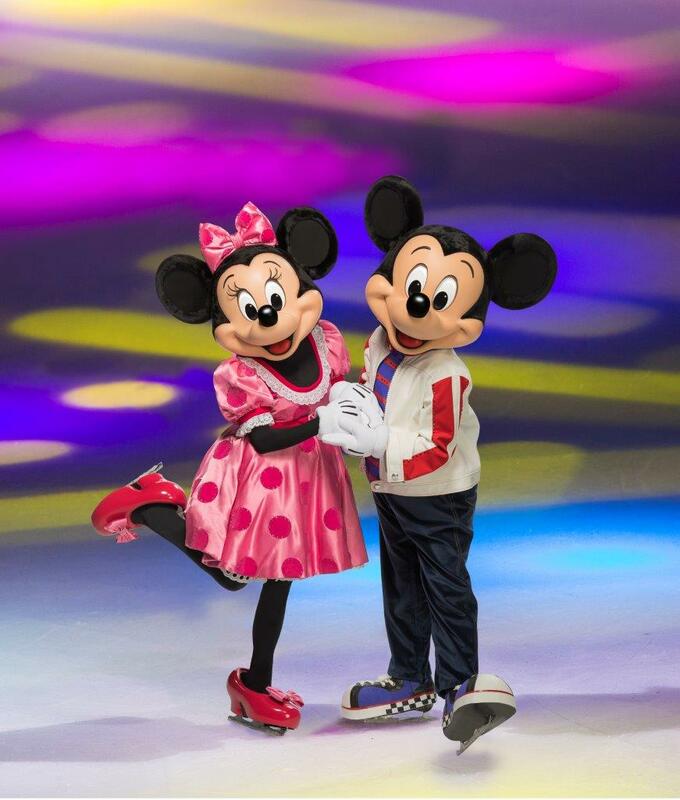 Mickey and Minnie’s Doorway to Magic visits Long Beach Terrace Theatre & Citizens Business Bank Arena, Ontario from January 18-January 21. Tickets are on sale now, friends! 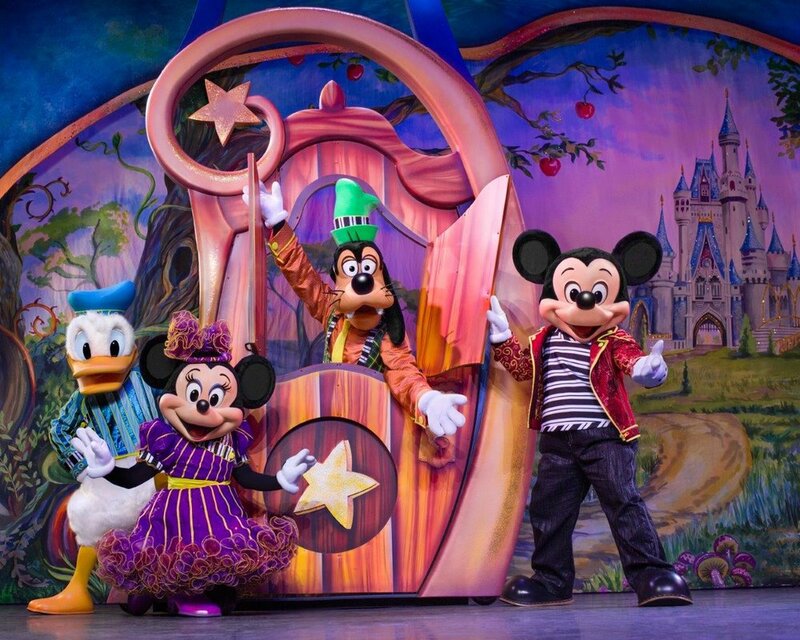 This is not an ice show, but rather a performance where Mickey Mouse, Minnie Mouse and the comical duo of Donald and Goofy and 25 other popular Disney characters surprise and captivate at every turn of the knob! Rapunzel and Flynn Rider will make what is being described as a "spectacular stage debut" rising into the sky amidst floating lanterns. With special appearances by Snow White, Tinker Bell and Aladdin’s Genie, audiences are told they will hold the key to unlocking their imagination in Disney Live! Mickey and Minnie’s Doorway to Magic. Tickets available for purchase online at Disneylive.com or Ticketmaster.com, charge by phone at 800-745-3000 or in person at the venue Box Office. I can't wait! Hope to see you there, friends! 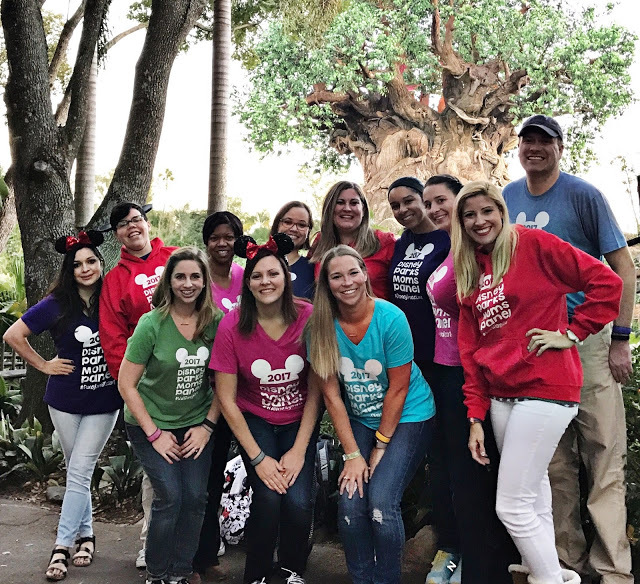 My First Disney Social Media Moms Celebration! Happiest Blogger Meeting On Earth! 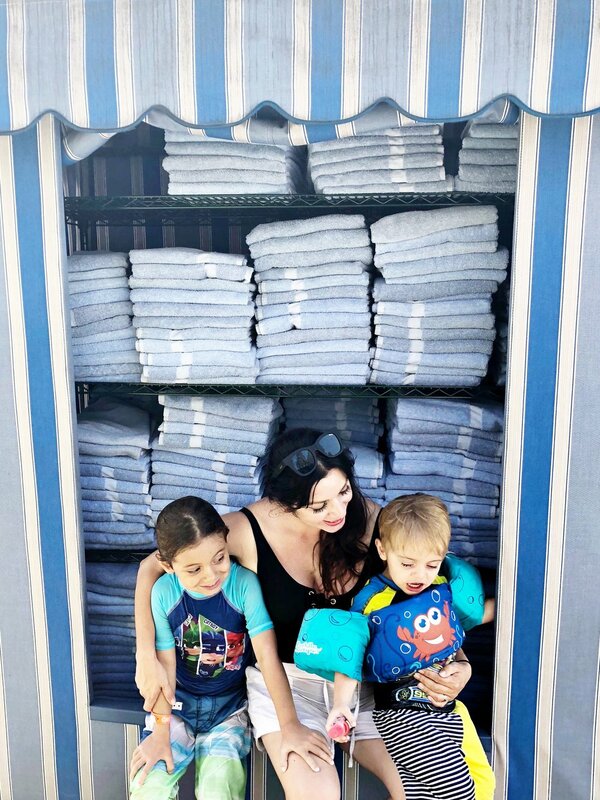 Like many moms in Southern California, I have a blog and I cover Disney stuff on my blog. But I had never been invited to the annual Disney Social Media Moms Celebration. I did, however, get selected to become a Disney Parks Mom Panelist, which was way beyond any Disney honor a Disney-loving mom could ever receive. In my designation as a mom panelist, I've had amazing opportunities to visit the Disneyland Resort for different events. 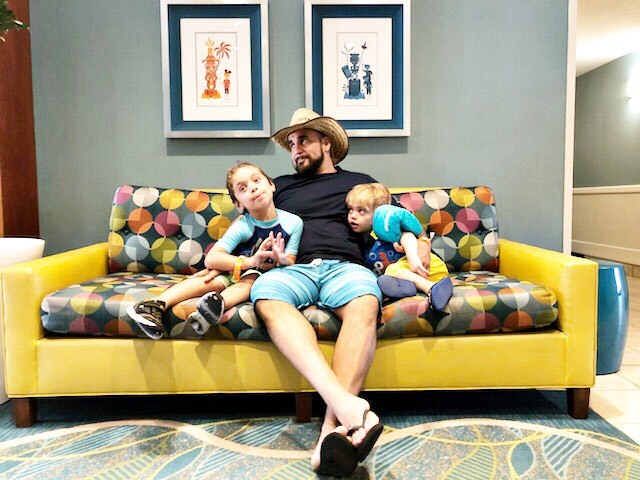 Since I answer plenty of guest questions seeking Disneyland vacation advice, the more visits to the Happiest Place on Earth, the better for me since there's always something new at the resort. Nonetheless, receiving an invite to the Disney Social Media Moms Celebrations was just so cool! It was amazing because I was there as a blogger/online media editor (see www.MommyInLosAngeles.com) but I was also there as a Disney Parks Mom Panelist which suddenly reminded me how soon this experience is coming to an end (panelists serve for one year)! 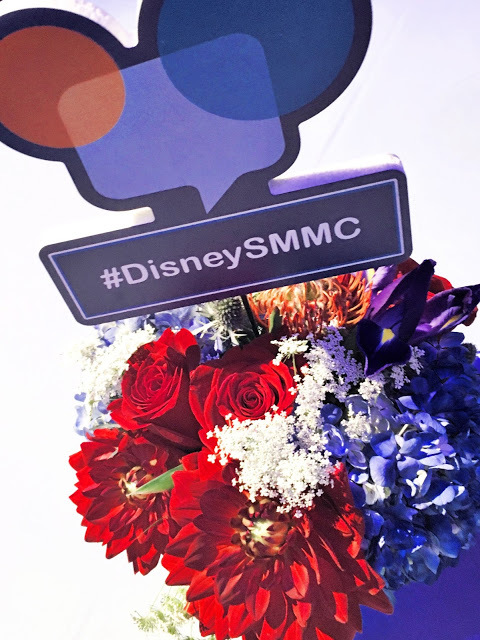 The Disney Social Media Moms Celebration included helpful workshops and inspiring speakers. It also gave us the opportunity to meet other influencers and explore the Parks. The idea is that Disney recognizes the importance of spreading the love. 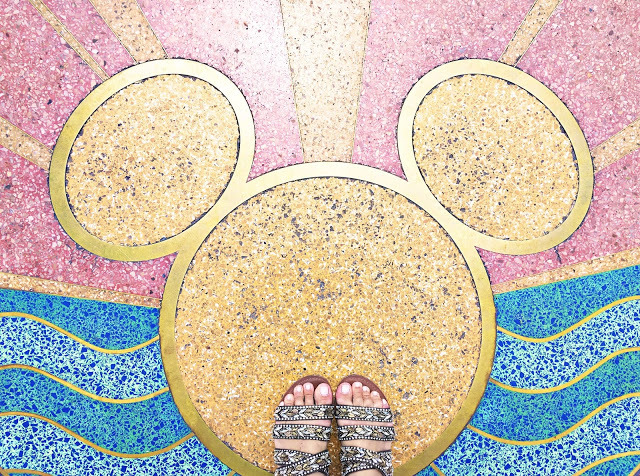 If bloggers and social media influencers cover fun and unique Disney stories, our readers and followers will learn about Magical happenings! Disneyland with no kids and a bunch of mommies with social media obligations was incredible and I plan on sharing awesome news and updates regarding the Disneyland Resort on a regular basis. For now, I want to thank the organizers of the Disney Social Media Moms Celebration "on the road" for coordinating such a memorable day (Thank you Jodi, Courtnee and Lisa). I'd also like to share some photos of this very happy day! 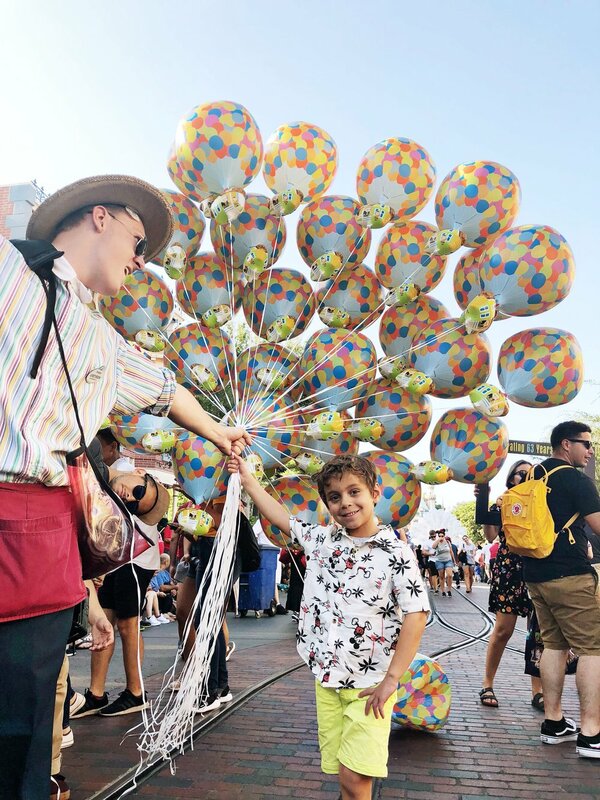 City Hall at Disneyland is still your one-stop shop for birthday & "first-time visit" buttons, a list of horse names at the King Arthur Carrousel, times for Character Meet & Greets, Disability Access Service registration, among many other things! From now until the Holiday season, guests can indulge in this moist, creamy and delicious classic Strawberry Shotcake dessert at the Plaza Inn, inside the Disneyland Theme Park. I had the opportunity to meet Kevin Deters and Stevie Wermers, directors of Olaf's Frozen Adventures, an upcoming featurette which will be in theaters on November 22, 2017. They shared many fun details about what it was like to work on this film, including hints about hidden Mickeys within the film! Best of all, I had an opportunity to hang out with other amazing mommy bloggers including Paulina and Bricia Lopez (Super Mamas) and Jacqui Saldana (Baby Boy Bakery) pictured above. 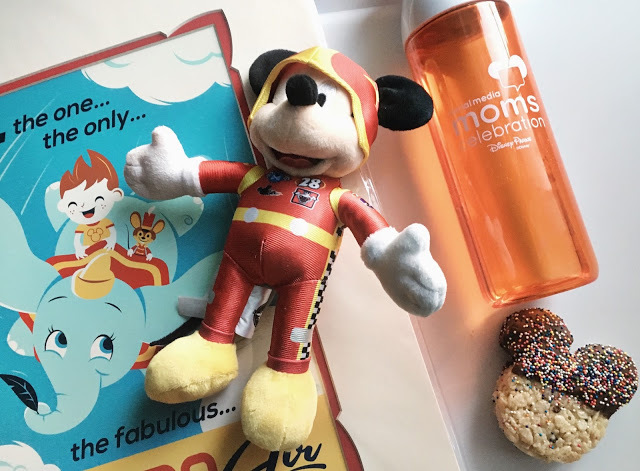 On a final note, many moms have asked me how they can receive an invitation to the next Disney Social Media Moms Celebration. To be honest, the only thing I can offer is-- continue being genuine and honest in your coverage of Disneyland and Disney-related products and events. Personally, I'm still not sure why I received the invitation. It could have been my involvement with the Disney Parks Moms Panel, it could have been the "Disney Love" section on this blog or simply because someone checked out my Instagram and Twitter Feed and liked what they saw. In the end, moms who decide to delve into the world of blogging don't really know if their venture will be successful but we do it because we simply love to share our experiences and have a creative outlet. Everything that happens after that is complimentary. Thrilled to share about my amazing 2017 gig with Disney! I was selected to serve as a 2017 Disney Parks Mom Panelist, an independent contract position with magical benefits. All opinions are my own. Many friends and relatives have asked me how I became a Disney Parks Moms Panelist. They probably saw tons of pictures appear on social media during training, which took place in early December. I couldn't help but share and I was also getting tagged in photos showing an amazing time at Walt Disney World with my fellow mom panelists (twelve of us, to be exact). But my answer to the question about how I became a panelist is very simple: I don't know. I applied along with thousands and thousands of other Disney-loving mommies from around the world. I answered all application questions honestly and from the heart. I also made sure to double check my grammar and punctuation on every single submission. I let them know I was bilingual and confirmed that neither myself or anyone in my immediate family worked for Disney or a travel agency. I also submitted the dates of our last Disney vacation (you must have stayed at a Disney Resort at least once in the last 12 months). Friends, there must have been a perfect amount of pixie dust on my application because I never imagined I would move on to the final round, let alone get selected! All Disney quotes aside though, being on the Disney Parks Moms Panel is an honor. It's a highly coveted spot where we have a unique opportunity to serve as ambassadors or representatives of Disney Parks. We do so by answering questions from families planning a trip to the Happiest Place on Earth. 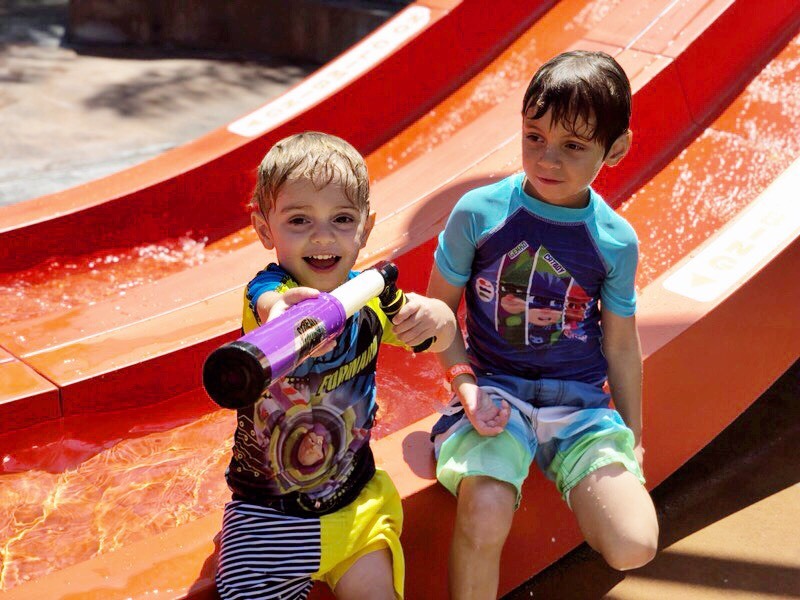 We were selected because of our enthusiasm toward all things Disney and we are given the liberty to offer our favorite suggestions, recommendations and advice to families visiting the parks. It's certainly a very involved assignment and one that doesn't come with a salary but in good ol' Disney fashion, we are fortunate to receive magical benefits for taking on this once-in-a-lifetime role. You can visit the Disney Parks Moms Panel website for more information. My picture and biography are on the website now (woo-hoo)! I will be answering questions in English and Spanish about the Disneyland Resort. By the way, the 2018 panel search will open later in the year. Make sure you sign-up to receive Disney Parks Blog information directly to your email inbox for the exact dates. For Disney Parks Moms Panel hopefuls, all I can say is don't give up! A couple of this year's mom panelists applied for 10 years before getting selected for 2017, which happens to be the 10th anniversary of the Disney Parks Moms Panel program! After a conversation with one of those mommies, it seemed as though 2017 was the best possible year for her to have participated, given personal and professional situations. In other words, things happen for a reason and If you can dream it, you can do it! Mucha gente me ha preguntado cómo le hice para terminar entre el grupo de mamás panelistas de Disney de 2017. Quizá vieron las fotos que subí o fotos donde me etiquetaron durante la semana de entrenamiento en Walt Disney World. Y es que ni como contener la emoción de estar entre un grupo de doce mamás (y un padre canadiense) que fuimos selecccionados por Disney para esta asignación. En realidad no sé cuál fue la razón por la que me escogieron. Presenté mi solicitud junto con miles de personas fanáticas de Disney alrededor del mundo. Contesté todas las preguntas con honestidad y corazón. Me aseguré de enviar las respuestas sin faltas de gramática u ortografía. Les avisé que era bilingue y confirmé que nadie en mi familia trabajaba para Disney u alguna agencia de viajes. También les proporcioné las fechas de mis ultimas vacaciones a Disney (se requiere hospedaje en un hotel de Disney al menos una vez en los últimos 12 meses). Será que Campanita estaba de mi lado y le puso suficiente brillantina a mi solicitud porque ¡jamás imaginé que llegaría a la última ronda, y mucho menos que sería seleccionada! Este papel como mamá panelista de Disney es uno que me enorgullece mucho. Es un puesto muy solicitado que nos brinda la oportunidad de servir como representantes o embajadores de Disney. Esto lo hacemos contestando todo tipo de preguntas sobre los parques a familias que planean viajar a Disney. Fuimos seleccionadas en parte por nuestro conocimiento sobre todo lo referente a Disney y tenemos libertad de contestar preguntas, ofrecer consejos y dar recomendaciones basado en nuestros gustos y preferencias. Yo estaré encargada de contestar preguntas sobre Disneyland en inglés y español. Aquí pueden conocer más sobre las panelistas. Mickey Mouse Clubhouse Summer Party! A Hot Diggity Dog Time! When I was on maternity leave, I would look at my baby Toby and remember when his older brother Benny was just as tiny. I would get feelings of nostalgia thinking about how fast kids grow. But there's no stopping the clock and my babies will be teens before I know it. That's why I started thinking of ways to make their childhood even more memorable. 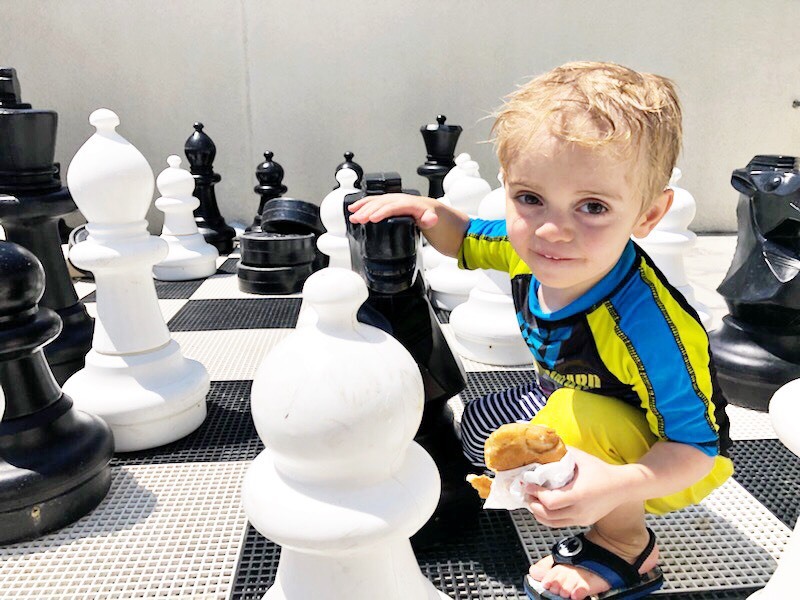 One idea that came to mind was throwing an annual kids play date/summer BBQ where I would invite all their cousins and little friends to enjoy an evening of games, activities, food and goodies, at our house. The day was super hot and we don't have a pool so I hired a Bubblist and had a few activities to help kids stay cool like splash ping pong, fishing for guppies, a lemonade stand and my brother-in-law, who was the afternoon's grill master, also installed a cooling mist system in the kids area. The weather was ridiculously hot but the kids seemed to have a blast running around and finding activities to keep busy. Did I mention it was Mickey-themed? I learned a few lessons on things I will do differently next year as far as time of day to host the party and the amount of time I need to make it all come together (I waited till the last minute for a lot of details and a few things I envisioned never got done), but overall, we had a great crowd and Benny still talks about his friends and cousins who came to the summer party...yay!